Many people now claim that management allows them to smoke electronic cigarettes while they are at work. There are currently no laws forbidding this and what is acceptable is a gray area and varies between workplaces; some employers feel that as tobacco cigarettes are not allowed, then e-cigarettes should not be either; while other employers feel that e-cigs are different as they don't release any smoke into the environment and therefore pose less risk. Years ago, smoking in the workplace was common practice, but that is definitely not the case these days. Currently, it is not acceptable to smoke tobacco cigarettes indoors and this includes all workplaces and public areas. Most employers view smoking as a liability and consider it a fire hazard as well as a potential health hazard. Many employers are also well aware of all the money they lose from their employees taking excessive cigarette breaks throughout the day. As well as this, many of them are often off work more than most, due to illnesses made worse by smoking and again this means the employer loses more money covering their sick leave. Because of this, at a job interview if an employer had a choice between two candidates, many may well choose to hire a non-smoker over a smoker. Those who don't smoke tend to be healthier and this means they are also more reliable and productive in their work. The good news for smokers is that there is now an alternative to traditional tobacco cigarettes and that is e-cigarettes. 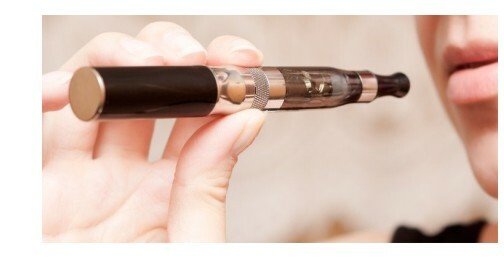 Electronic cigarettes are being gradually accepted in many workplaces as a positive alternative to tobacco. However, there are still many employers who are sceptical and still include e-ciggies as part of the smoking ban. However, those employers that do allow e-cigarettes are well aware that they do help increase employee productivity. E-cigarettes are gradually becoming more accepted in society and this includes the workplace. As well as this e-cigs do have a number of benefits for the employer as they do allow employees to be more productive, and they help to eliminate some of the risks associated with tobacco cigarettes. As time goes by and electronic cigarettes become more accepted, it is hoped that more employers will permit their staff to use them in the workplace. Have to say – E-cigs have improved things for me at work! My boss wasn’t exactly impressed with me disappearing to feed my habit before I ditched the cigs. Previously I was allowed 2 fifteen minute breaks from the office to smoke (morning and afternoon), but after switching, my e-cigs were approved by the Health & Safety officer for my department, and I don’t have to leave my desk. It’s win-win for me! At the company where I work, I think smokers carry a bit of a stigma which is why it was so positive for me to change to e-cigs. I honestly think that the clique of people who take cig-breaks (and gossip) are black-listed as being a bit lazy and maybe not to be trusted – they generally don’t get on in the company. I don’t have that problem (with e-cigs) which can only be a good thing. As a business owner it’s better for me to have staff who’d prefer to vape than smoke – as some have chosen to do recently. From a health and safety point of view, I honestly don’t have a problem with them using an e-cig at the workstation. Howevet, the best idea is to stop smoking for good! Our work still bans these ecigs regardless. I think they want people to stay healthy... without depending on anything tobacco related. I don't agree obviously.